Our name says it all. We believe in ministry for your whole family! When you learn about God’s promises, so do your kids! God has promises for kids too! We understand that it may be hard to leave your child. We place a high emphasis on the safety of every one of the children entrusted to us. 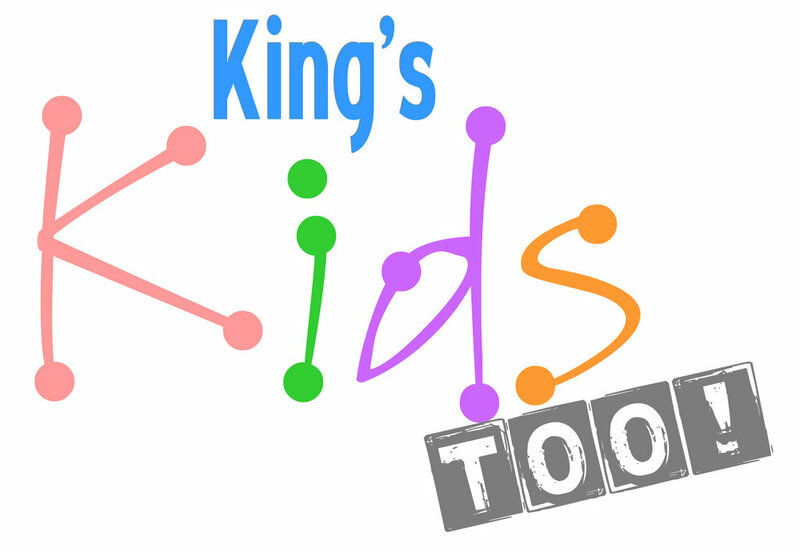 A safe and loving environment is provided for your babies and toddlers through our King’s Kids Too class. Our King’s Kids Too teachers are knowledgeable in safe practices for caring for little ones and will do a fine job loving your baby! Your little ones will learn how to love their Bibles, that God loves them, and that they are special! Of course, they also have plenty of time to play with the teachers and with each other. The relationships formed in King’s Kids Too will carry over to the older classes as they move up in our children’s ministry! The nursery is available during the Sunday a.m. service. In the King’s Kids class, preschoolers learn the Bible stories through puppets, music, and games. Our teachers go through the Bible presenting the stories in a way that preschoolers can understand. This gives each child a basis for understanding biblical principles through the Bible stories they are taught throughout their elementary, youth, and adult years. Our teachers love God and love children, and learning about God has never been more fun! Give your child the Bible knowledge they need at a young age… send them to King’s Kids! Designed for kids kindergarten through sixth grade, Heir Force is the place where we teach children that God is good and about His Word. With fun activities and illustrations to help your child remember what they have learned, our Heir Force classroom has a cutting edge curriculum. Starting immediately after praise and worship on Sunday mornings, kids transform from ordinary to extraordinary as they learn who they are in Christ and how to be a Superkid! Download our iPhone app today!